Aric Almirola started eighth and finished Stage 1 in the fifth spot to earn six stage points. The Smithfield driver avoided an early caution and was in seventh when the competition caution was displayed on lap 60. During that caution he reported the No. 10 Ford Fusion was too tight. He came to pit road for fuel, four tires and adjustments during the caution and restarted 10th on lap 66. The balance of the stage ran under green, and Almirola finished fifth in the Smithfield Anytime Favorites Ford. Almirola started Stage 2 in fifth and completed it fourth to earn seven bonus points. On lap 194 Almirola entered the second spot with the Smithfield Ford. The fourth caution was display on 198; Almirola pitted for fuel, four tires and adjustments and restarted third on lap 203. The remainder of the stage was under the green flag, and Almirola ended it fourth to earn seven stage points. Almirola started the final stage in the second position and ended it 31st. On lap 336, while running in fifth, Almirola was black flagged by NASCAR because of smoke coming from his Ford Fusion. Ultimately, the Tampa native had to bring the Smithfield Ford behind the wall for the crew to repair a fluid leak. Once the leak was repaired, Almirola returned to the race to log laps for the remainder of the event, finishing in 31st. Almirola finished fifth in Stage 1 to earn six bonus points and fourth in Stage 2 to earn an additional seven bonus points. 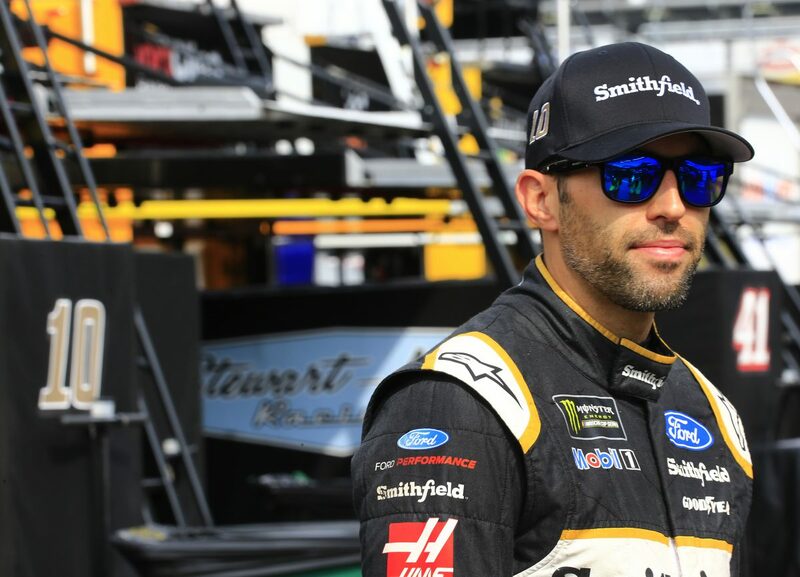 Almirola led twice for two laps, which were his first laps led at Bristol. Kurt Busch’s victory in the Bass Pro Shops NRA Night Race marked the 54th overall win for Stewart-Haas Racing (SHR). It was the organization’s 49th points-paying Monster Energy NASCAR Cup Series win, its second consecutive victory and its second win at Bristol (Tenn.) Motor Speedway. Busch’s margin of victory over second-place Kyle Larson was .367 of a second. There were nine caution periods for a total of 70 laps, and only 15 of the 40 drivers in the Bass Pro Shops NRA Night Race finished on the lead lap. This was SHR’s 13th Monster Energy NASCAR Cup Series victory with Ford. The team won its first race with Ford when Busch captured the 2017 Daytona 500. Busch delivered the 100th points-paying victory for Ford’s Fusion in the Monster Energy NASCAR Cup Series. It was Ford’s 669th all-time win in the NASCAR Cup Series.